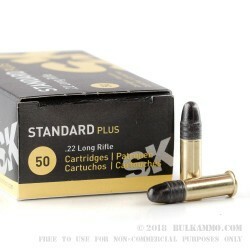 Buy Your SK Standard Plus 22 Long Rifle Ammo In Bulk And Save Money! 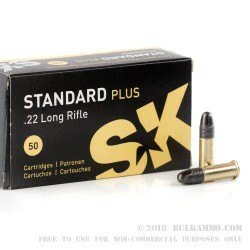 SK Standard Plus is a great 22 LR round to use for competitions and matches. 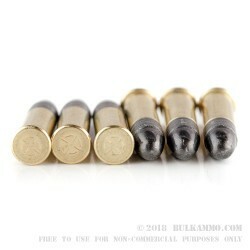 You'll love the accuracy you get from this value-priced line of ammo. It's almost impossible to shoot better for cheaper!. 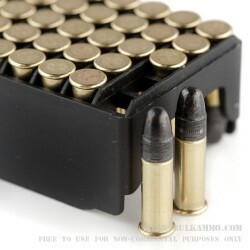 This rim-fire ammunition is new production and non-corrosive. Q: What is the muzzle V? A: Hello Gary, The muzzle velocity for this ammunition is listed at 1050 fps.